Açaí Bowls have become the newest hip thing. We have a lot of places here in Arizona that serve them. 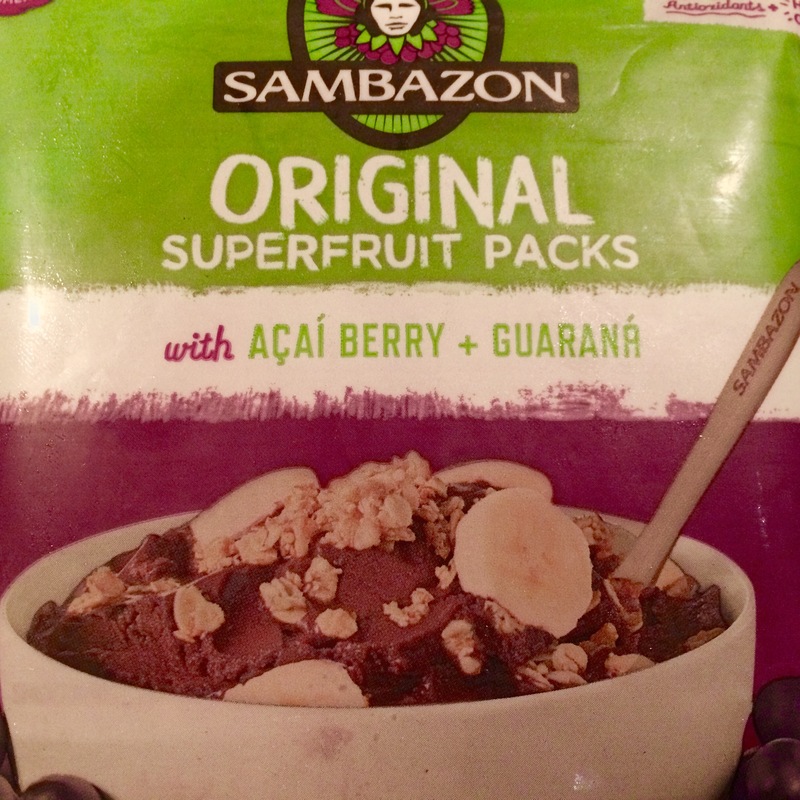 I use Sambazon frozen Açaí to make my Açaí Bowls. I usually find it at Sprouts or Whole Foods. Açaí is a berry that grows on a species of palm trees in South America that contains powerful antioxidants and healthy omegas. Here’s the recipe found on the back of the Sambazon package for a traditional bowl. 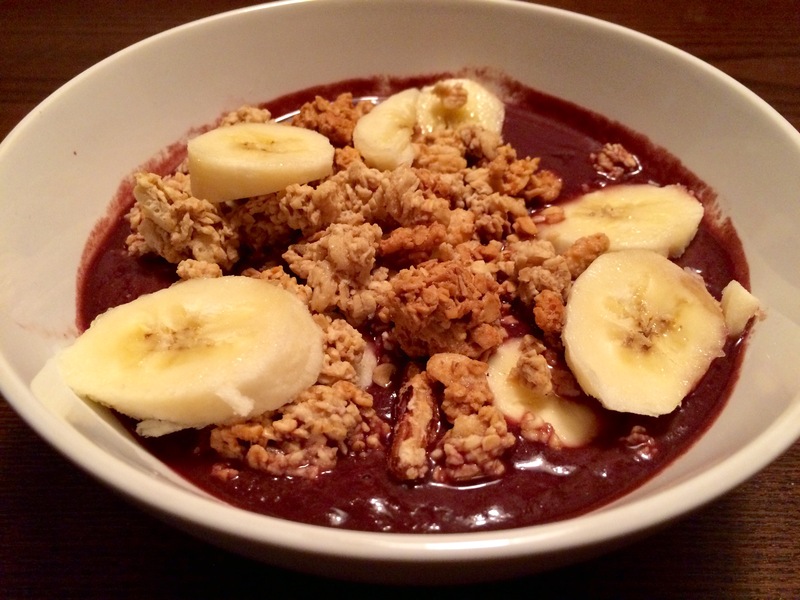 This entry was posted in Comfort Food, Recipes and tagged Açaí, Açaí Bowls, Acai Bowl, antioxidants, apple juice, banana, berries, Brazil, frozen, granola, healthy, hipster, omega, palm tree, recipe, Sambazon, South America, Sprouts, Whole Foods by ttimmons. Bookmark the permalink.